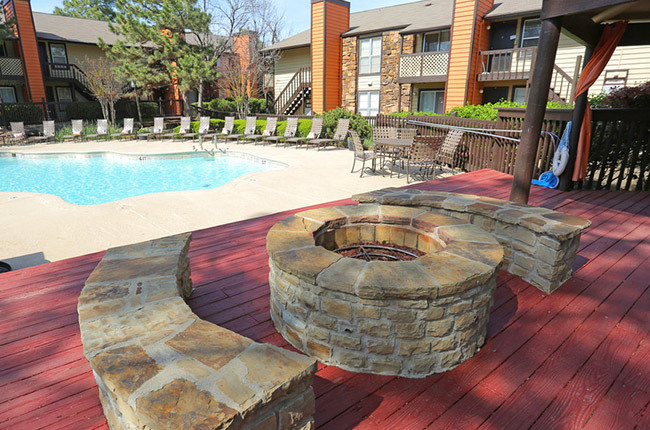 Welcome to Rustic Woods, the premier apartments in Tulsa, Oklahoma! Our refined apartment community features a selection of modern yet affordably priced homes in a convenient suburban location. With spacious one and two-bedroom apartments, a full list of in-home and shared amenities, and a pet-friendly atmosphere, it’s easy to see why Rustic Woods is one of the leading names in Tulsa apartment living! Enjoy fully-equipped kitchens, large walk-in closets, and private patio or balconies. Journey outside your apartment home walls, and you can kick back in our resort-style pool or resident clubhouse. Need an appliance repair or on-site assistance? Our professional team will handle all concerns to your utmost satisfaction. Steps from our community, you’ll find the best options for dining, entertainment, and shopping in the greater Tulsa area. Conveniently located just minutes from Creek Turnpike and Highway 169, Rustic Woods in Tulsa, Oklahoma offers residents a fantastic location, in addition to a top-tier apartment living experience. Our community is within driving distance of a number of local mainstay destinations including The Fresh Market, Spiffy’s Cleaners, 10GYM, and Walgreens. Plus, Tulsa is home to a number of awesome eateries that are minutes from Rustic Woods such as Brunch at Sarah’s, OK Country Donut Shoppe, and RibCrib BBQ and Grill. Professionals from all backgrounds will love being mere miles from Downtown Tulsa, which is home to Oklahoma State University Medical Center, Bank of America Financial Center, and the Tulsa Convention Center.